The new fundraising photographic book, together with narratives will be on sale from 3 November, while the exhibition will be on 9 November. The book can later be purchased at popular retailers in Padstow, Port Isaac, Newquay, Rock, Wadebridge and then at Waterstones in Truro, the Eden Project, Cornwall Food and Drink in Truro and the Helston Fishermen’s Mission Charity Shop. For further details please contact Julian Waring, julianwaring@fishermensmission.org.uk or 07917754349. 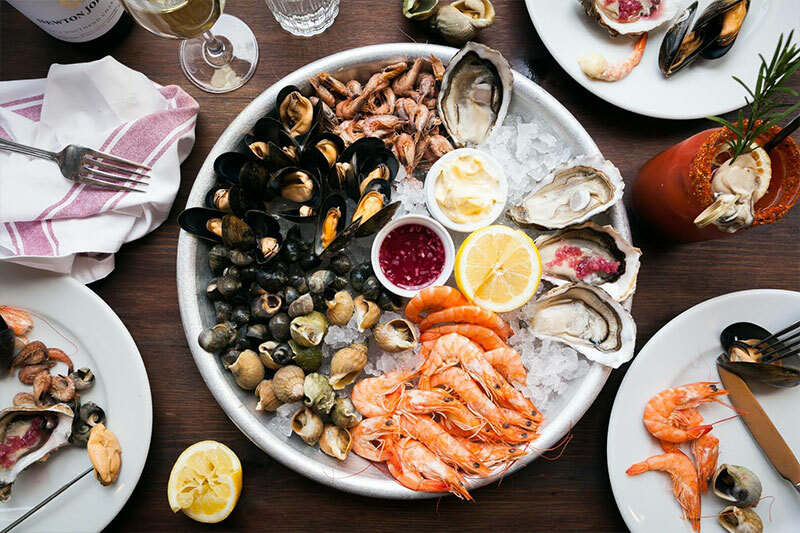 Enjoy a delicious dinner before heading to the Battersea Park Fireworks by dining at @WrightBrosLTD for brilliant British seafood The new riverside restaurant offers the best and freshest seafood from their very own wholesale business in Billingsgate Market. The menu includes oysters from around the British Isles, France and beyond, seafood platters and seasonal fish. World-class chefs bring their menus to Aberdeen for Scotland’s fine dining festival. Seven chefs – four of whom hold a coveted Michelin star – of the nation’s best-known chefs are set to cook up a storm at Signature – Scotland’s fine dining festival. Household names including Martin Wishart and Glynn Purnell will bring their award-winning menus to The Chester Hotel in Aberdeen for a 12-day celebration of gastronomy. Set in the heart of the city, the Manchester Christmas Market is packed full of festive cheer. The award-winning festival is back and offers visitors plenty of ways to enjoy the most wonderful time of the year. Follow the market trail through the city and enjoy the buzz and atmosphere from all of the Christmas excitement. A unique banquet with a line-up of very talented chefs with incredible skills from Michelin stars, cooking for Royalty, Great British Menu to winning Celebrity Masterchef. This fishy feast includes drinks, canapes, wines, hosted by the BBC’s Tiffany Truscott and entertainment by Flats and Sharps. All proceeds in aid of the Fishermen’s Mission. If you love seafood then this is an event that is not to be missed! Join the wonderful Sally, founder of Sally’s Fish Camp, and Steve and Kirsty, founders of Fossil Food Catering for a wonderful evening. This is the second to be held in this blooming Midlands town, famed for its connection with the global shoe industry. It’s unique in that there will be over 80 food, drink and foodie gift stalls with a street food market around the edge of Northamptonshire’s legendary cricket team’s home ground. To celebrate the bounty of the sea, Missie E Supper club would like to share with you an evening showcasing entirely on seafood and shellfish. Don’t worry nobody has to deal with any shells, she will do all the deshelling for you. A fun and interactive parent and child cookery class with delicious recipes designed by MasterChef winner, Jane Devonshire. Learn how to shuck, fillet, prep and serve different species of fish and create some delicious seafood suppers for all the family to enjoy. Bring your children to this special class to help you experience the fun and passion into cooking with your family.